If you shuddered at the words "egg" and "cream" brought together in such a cavalier fashion, you are not alone. Because gross! A drink containing an egg and, well, cream? No thank you. But fortunately, an egg cream doesn't actually contain either of those ingredients and instead consists of milk, chocolate syrup, and carbonated water. It's basically chocolate milk, but with some bubbly water to give it a little bit of a fizz. Apparently it originated in Brooklyn, but nobody really actually knows because that's how these things go. At this point, the mixture will be a pretty pale green — you're basically making matcha milk. Pour the milk out into ice-filled glasses, and top with fizzy water. BOOM! Matcha egg cream. 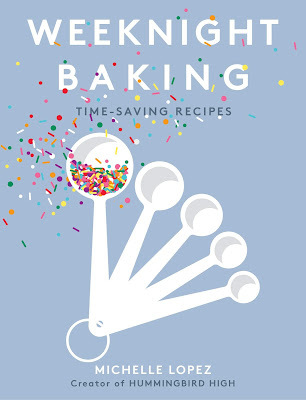 The recipe comes from Food with Friends, a new cookbook celebrating the art of, well, eating food with friends. 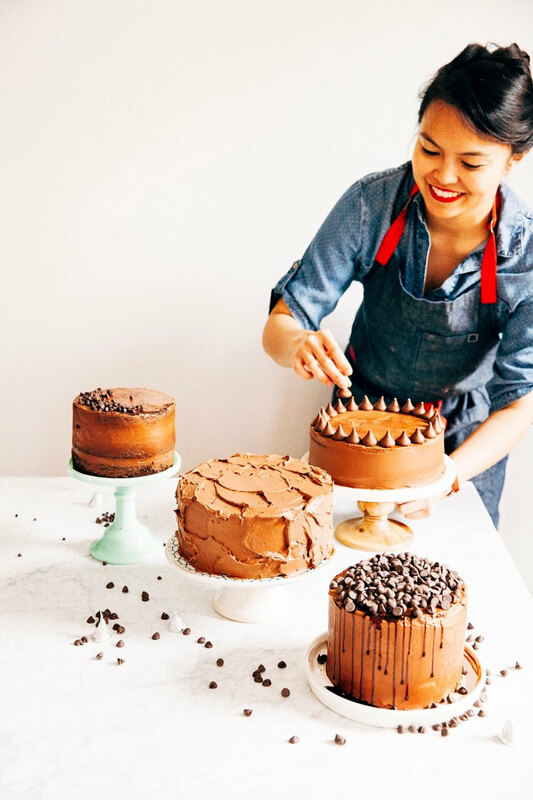 I've been a fan of Leela Cyd's work for the Kitchn and various blogs for so long, and her cookbook is another example of her awesome work. The food is whimsical and fun, and this matcha egg cream is no exception. 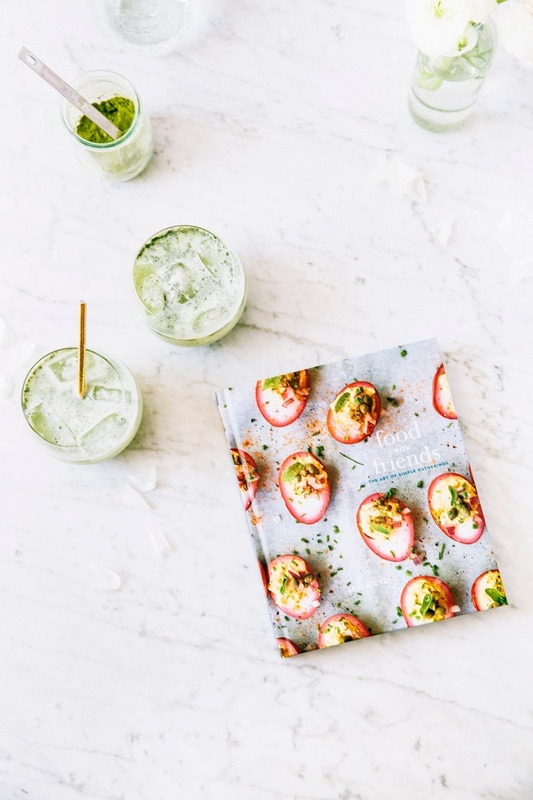 Matcha is a vivid green powder made from compressed green tea leaves; you can also use it to make green tea, matcha lattes, and of course, baked goods. Matcha usually has a "grade", which is determined by the age of the leaf that is milled for the tea. 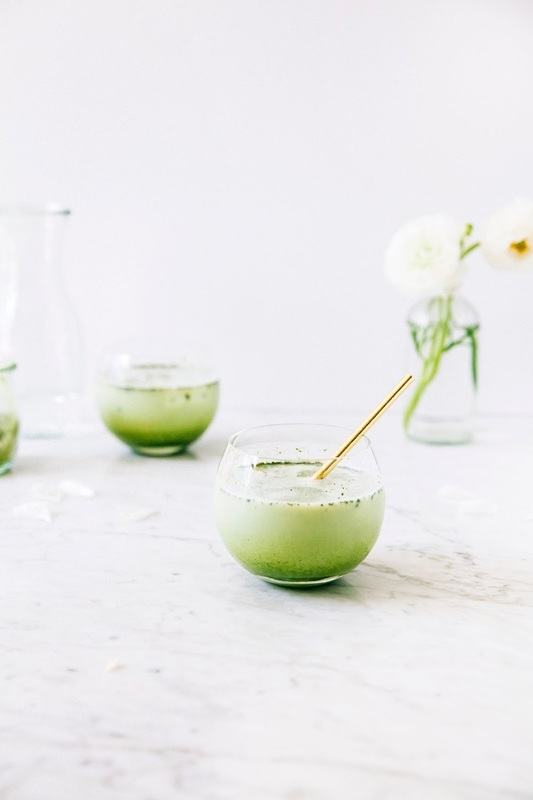 Ceremonial grade matcha is made with younger leaves are more delicate and flowery, and ultimately used for traditional tea ceremonies in Japan. As a result, it is very expensive. I would recommend getting culinary grade matcha, which isn't as delicate (quite frankly, ceremonial grade matcha will probably have too delicate of a flavor for baking), but is within a more reasonable price point. It is available online, specialty tea stores, and some Asian super markets. If you're working with especially cold ingredients, it might take a little bit for the matcha to fully dissolve and integrate with the rest of the ingredients. If you're lazy like me, you can get around this by using a fine-mesh strainer to remove any clumps. If you're a big planner, combine the whole milk and matcha in a small pot and bring to a boil, stirring constantly. Transfer to a mason jar and cool to room temperature, before refrigerating until chilled and then following Leela's original recipe. Place 2 large glasses full of ice into the freezer to get frosty. In a screw-top pint jar, combine 1/2 cup whole milk, 3 tablespoons sweetened condensed milk, and 2 teaspoons matcha powder and screw on the lid securely. Vigorously shake the jar until the contents are uniformly combined. 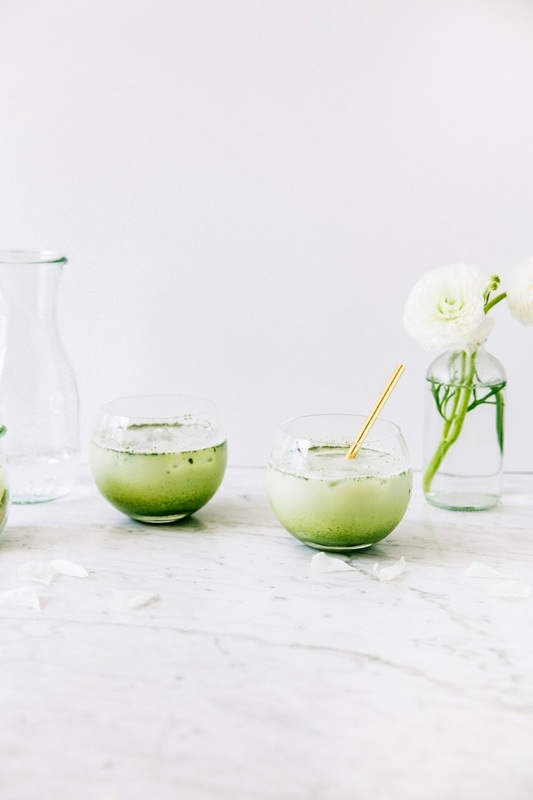 Take the glasses from the freezer and pour haf of the matcha milk into each glass. Top each glass with carbonated water. Swirl with a large spoon and enjoy immediately.